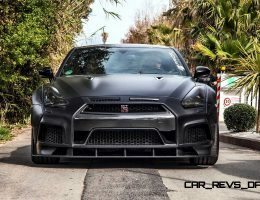 A pretty cool set of new carbon-fiber elements for GT-S owners! 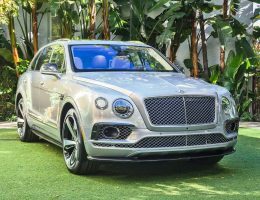 ChromeTec of Germany created unique finishes for the mirrors, hood vents and main grille element — with pricing that is actually really reasonable and starts around $350 for some of the kit! 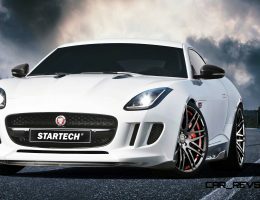 The best elements to help personalize your GT-S are the new bumper elements front and rear. 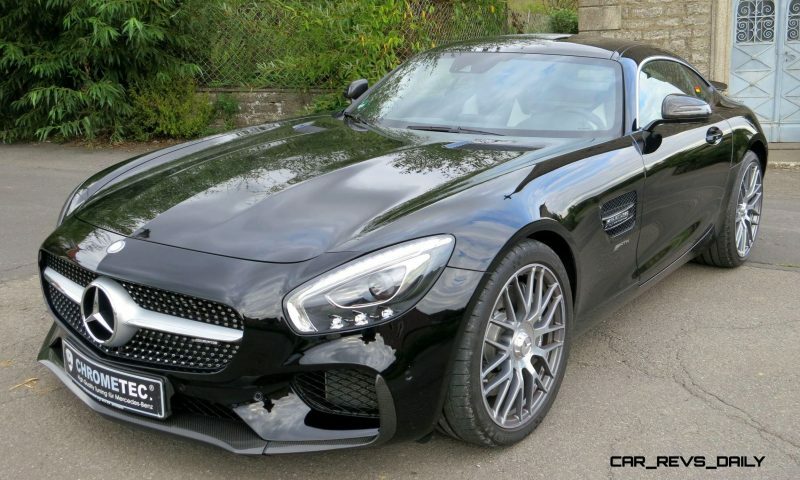 The nose detail is especially cool — it is a subtle chin spoiler for most of the nose width of the AMG, but flips up vertically around the main intakes with a sharp leading edge. 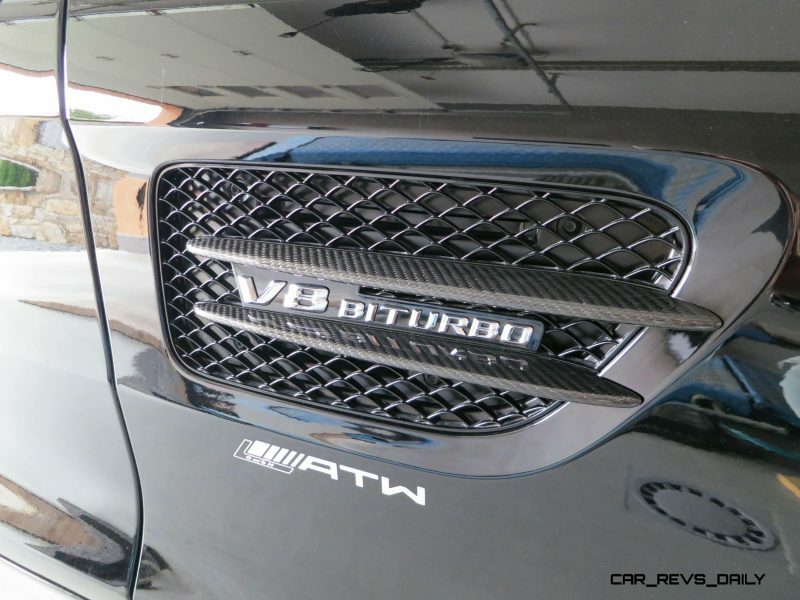 Both looks cool and channels even more air to the intercoolers lining the GT-S’s edge intakes. 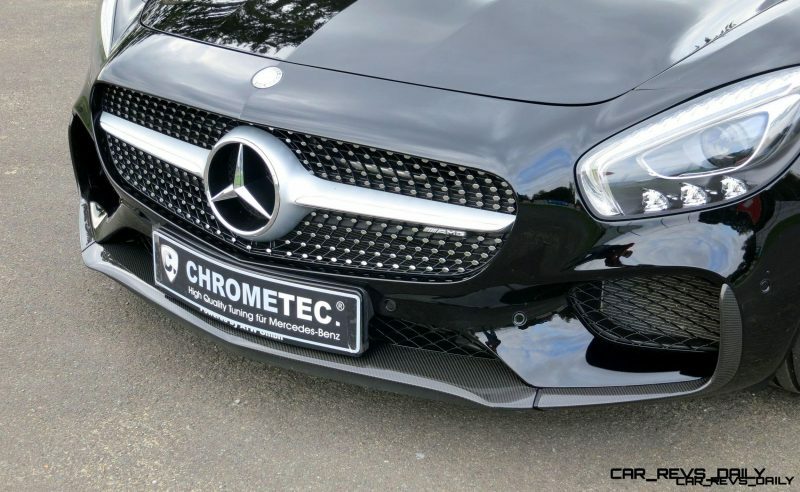 The CHROMETEC at Franconian Kleinrinderfeld south-west of Wuerzburg, Germany, quite rightly makes advertising with the slogan “High Quality Tuning for Mercedes-Benz”. 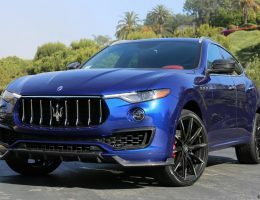 Improved aerodynamics and absolutely extraordinary design – that are THE arguments for pretended “small parts” made of the feather-light, but highly strong wonder-material called carbon fiber. 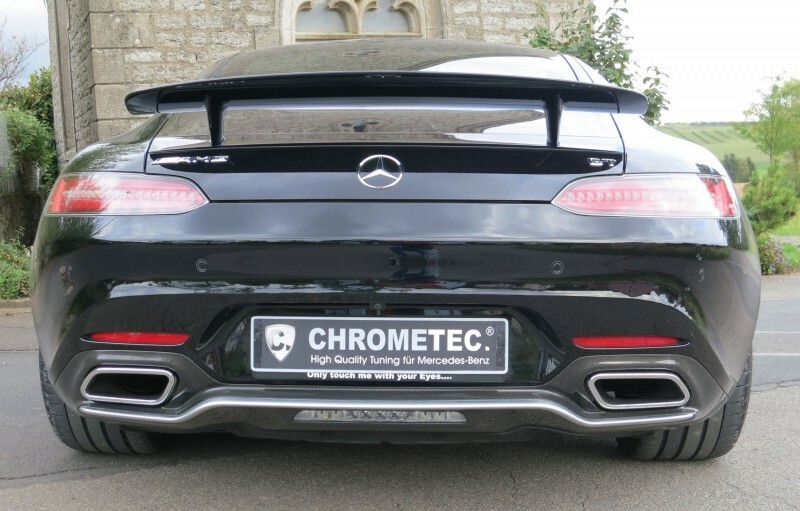 The produced and held in stock under managing conduct of Patrick GRIMM carbon parts are – like the preceding programs for SLK and CLA also – 100% handmade in Germany, characterized by perfect manufacturing and polished by hand to mirror splendor unique surface. 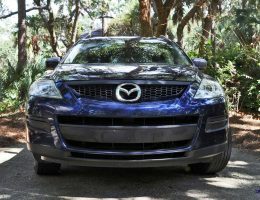 Individual desires are also being materialized. 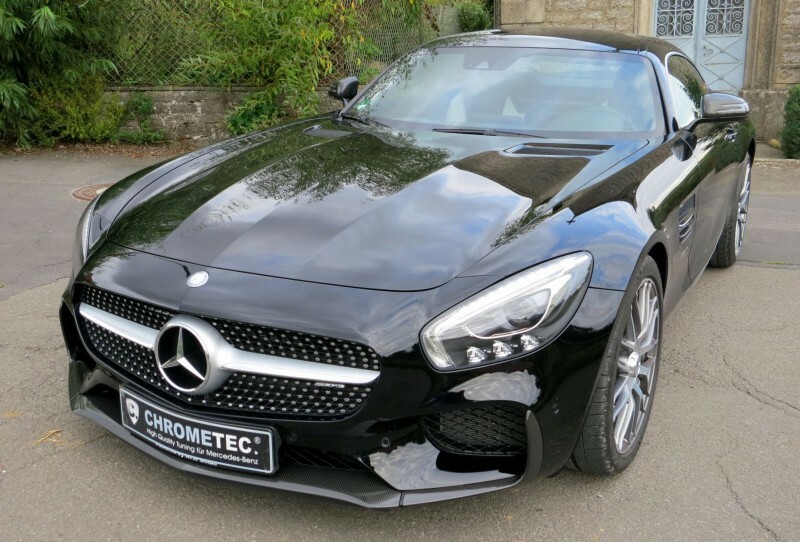 Here at this place, the talk is of CHROMETEC aerodynamics parts http://www.chrome-tec.com/Mercedes-AMG-GT-und-AMG-GTS-C190-Tuning/AMG-GT-und-AMG-GTS-Aerodynamik-und-Carbon–C190-Tuning/ especially for Mercedes AMG GT and GT S. Let’s first talk about the radiator grill frame, that can be ordered nor at Mercedes, whether at dealer’s shop, with its perfect real carbon surface for 750.00 euro, giving the car still more sportiness, dynamic and even a touch of racing feeling. 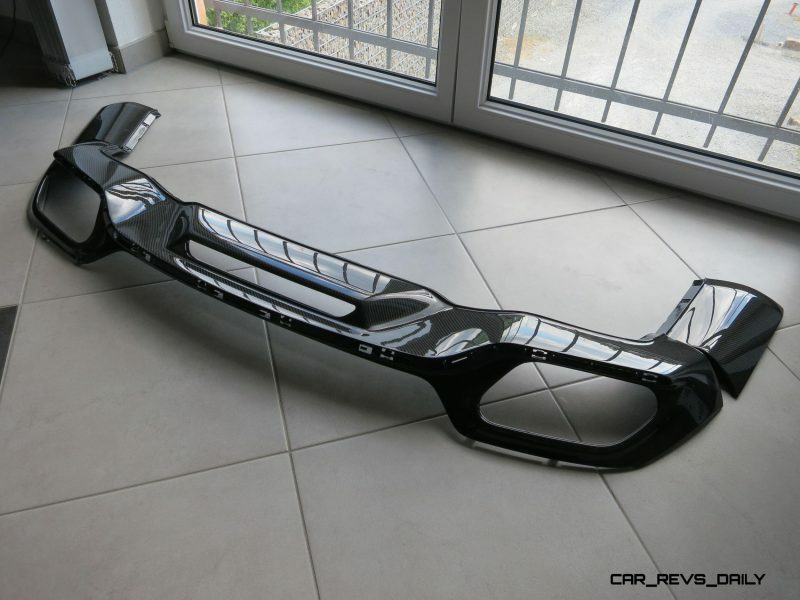 It is followed by a four-part real carbon fiber side fin set for the lateral aeration, to have for 850.00 euro. 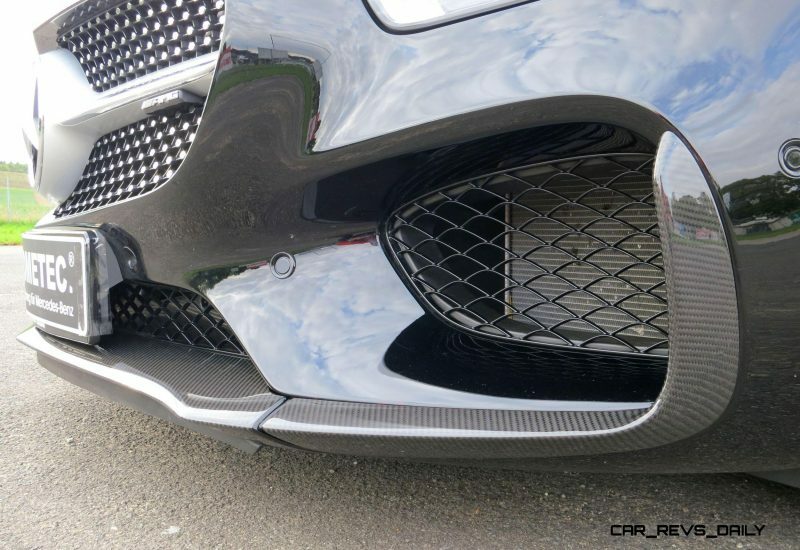 Now, the object of interest is the front spoiler lip including side flaps with likewise by hand applied surface in real carbon fiber for 2,400.00 euro, in an impressing way underlining the sportive ambitions of GT and GT S again. 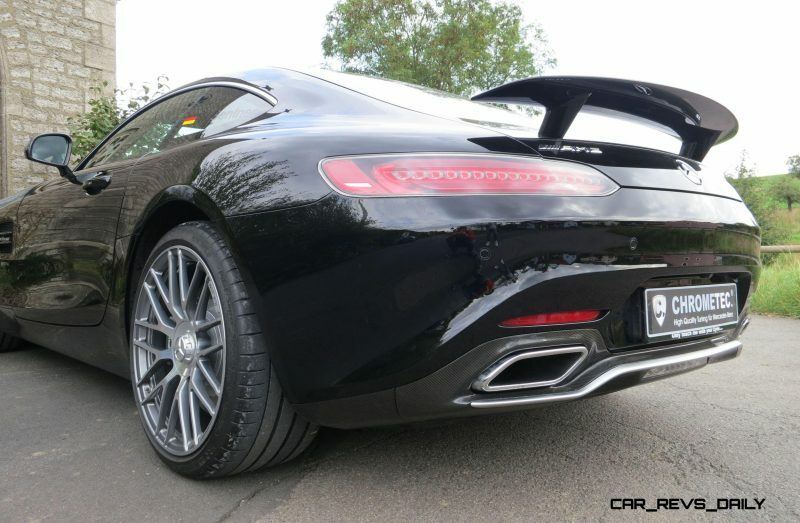 The ex-factory provided only for the special edition model Mercedes-AMG GT S Edition 1 wing flaps are available at CHROMETEC’s in real carbon also for the “normal” car models, demanding 990.00 euro. 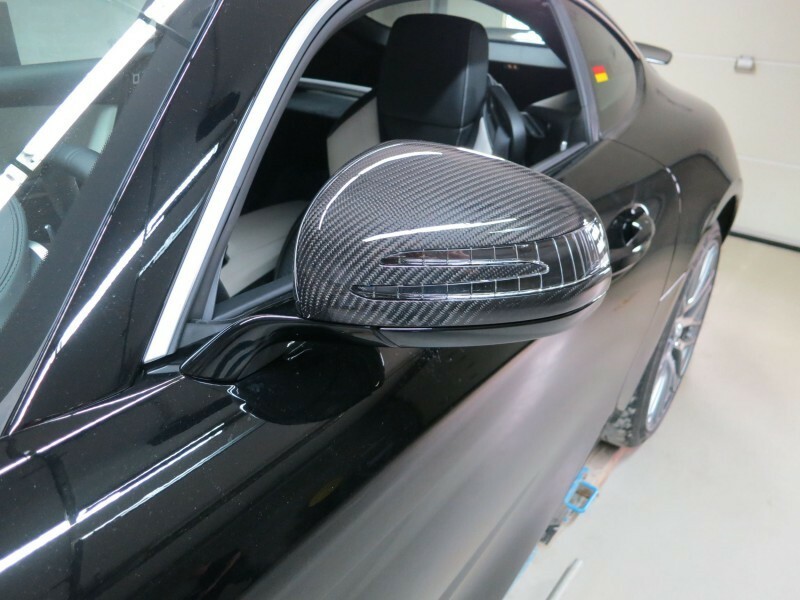 Now, the debate is about the carbon retrovision mirror caps on both sides, as another expression of sportive dynamics, offered for 900.00 euro. 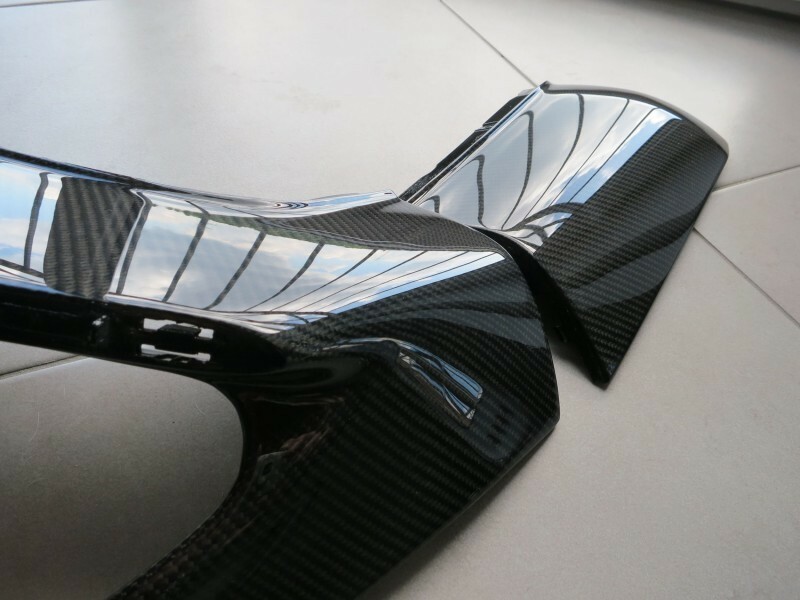 Last, but not least, there is the complete rear diffuser including lateral diffuser attachments, also with handy work applied and ennobled real carbon fiber surface. 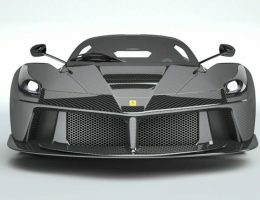 For this, another 1,890.00 euro are appearing on the bill. 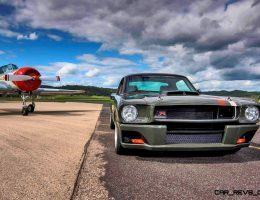 All the above-mentioned CHROMETEC aerodynamics tuning parts are a special kind of pieces, nothing leaving to be desired. 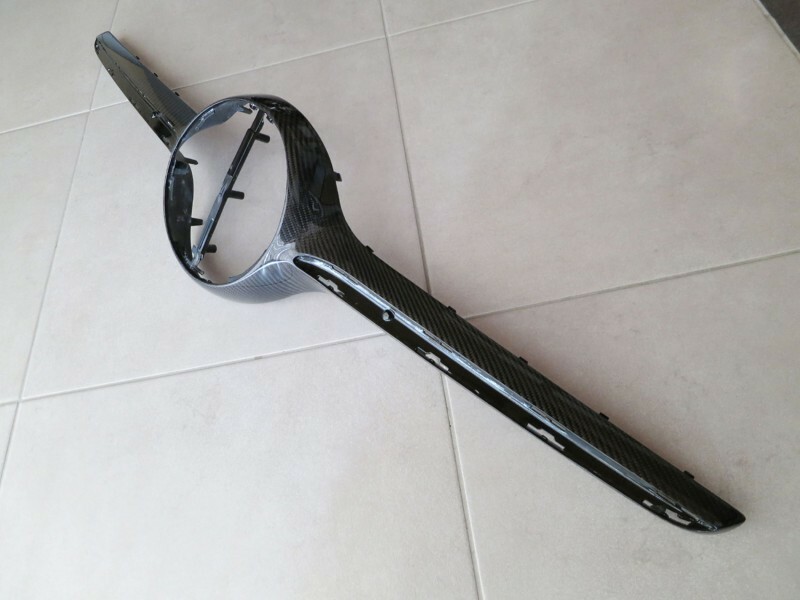 The steadily growing demand for carbon fiber parts, combining optimal performance and perfect visual effects, is taken into account by the Franconian tuning experts. 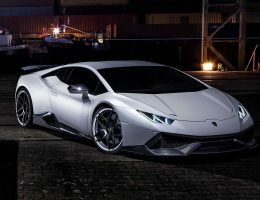 By the way, the above-mentioned prices are including VAT, without shipping.